We are always aiming to offer the best customer service along with the highest quality Toyota Certified Pre-owned and used vehicles on the market. That’s why only the best vehicles will pass our rigorous 101-Point Quality Assurance requirements and land on the front line. 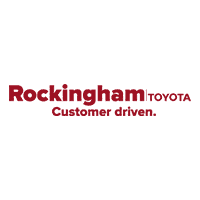 If a vehicle is Rockingham Certified, you know you’re getting the highest quality used vehicle at price you can afford.